It's not often that an old classic like the world acclaimed Westerland gets modernized with a 21st century version like Above All. We've added some petals, increased the flower count per cluster and improved the flower production to create a year round exquisite show. All that while maintaining a very attractive salmony orange flower color that remains strong, combined with a nice fruity fragrance and a high level of disease resistance. Above All stands proud above the competition of other Climbers with its excellent vigor. 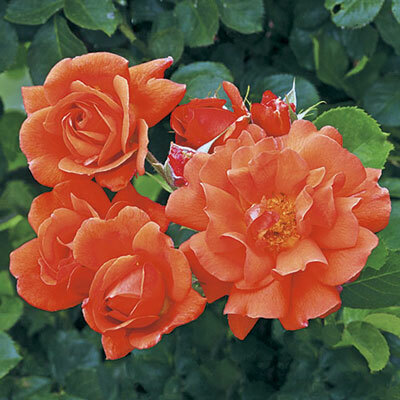 The good winter hardiness inherited from 'mom' Westerland allows Above All to perform with continuous blooming from spring to fall in multiple climates.